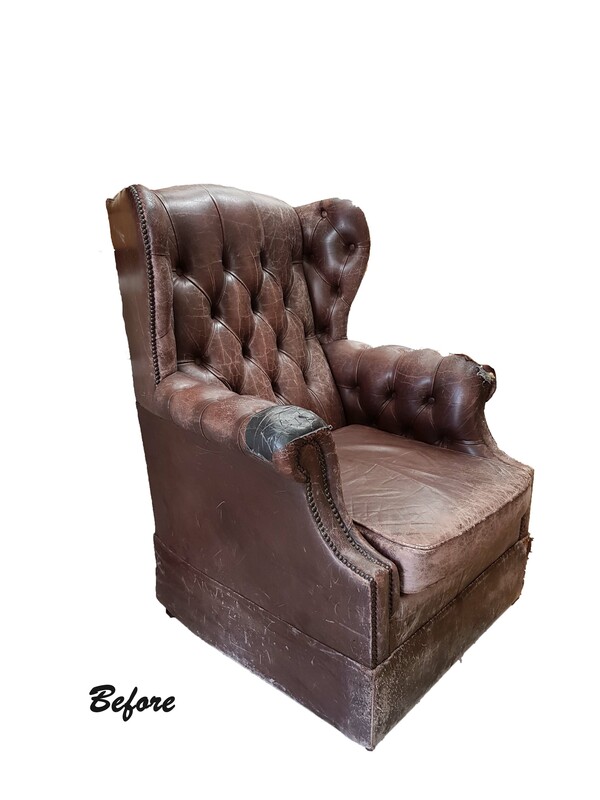 From antique chairs and family heirlooms constructed the old-fashioned way, to modern lounge sofas and chairs, the Wilson & Nicholson team, with more than 80 years’ experience, is highly qualified to professionally reupholster and recover your special items of furniture. 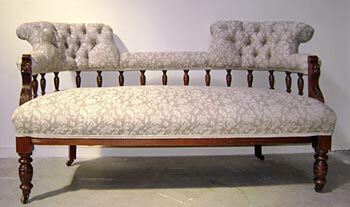 In conjunction with your furniture reupholstery, consider restoration of the furniture’s woodwork at the same time. 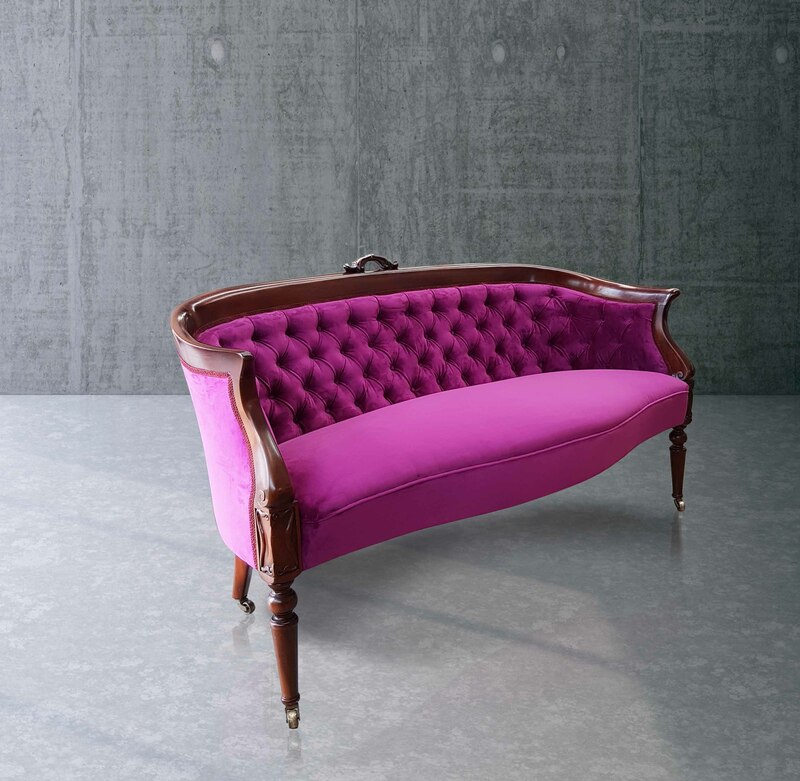 Choose from a huge range of quality upholstery fabrics and leather. Solid colours, patterns and textures, we have an enormous range to choose from and can advise on the best material for your upholstery. 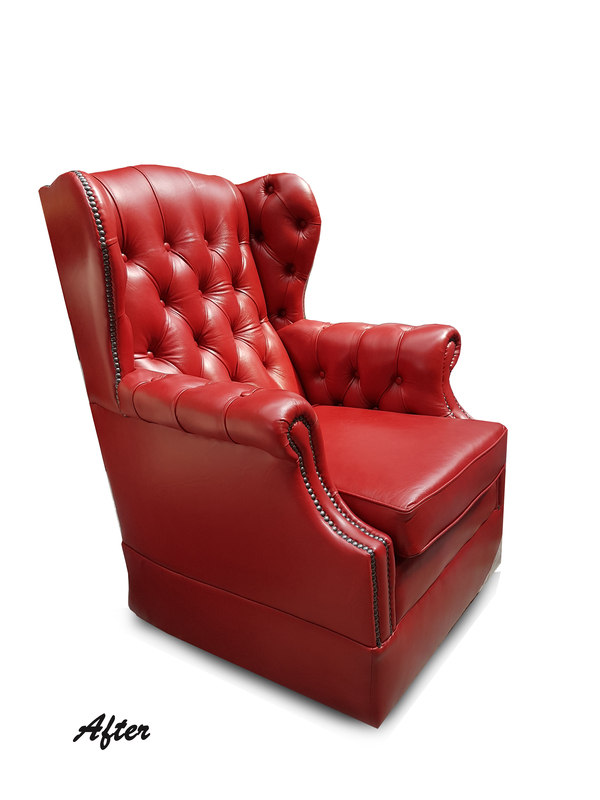 We design and manufacture lounge suites, modular furniture, couches, sofa, settees, sofa beds, armchairs, recliners, ottomans and footstools, and headboards in our Auckland workshop and showroom. 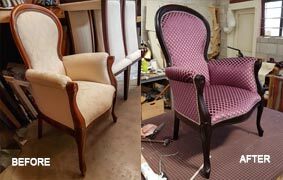 Because we design, manufacture and upholster the furniture in New Zealand we can alter the design and custom make furniture to fit any room. 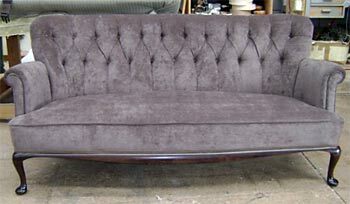 We are well known for building smaller couches to fit rest home units and apartments. 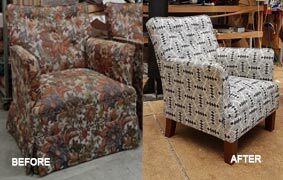 Wilson and Nicholson have been arguably Auckland’s best and most trusted Upholsterers for over 80 years. Using traditional upholstery techniques to build high quality long lasting furniture pieces. 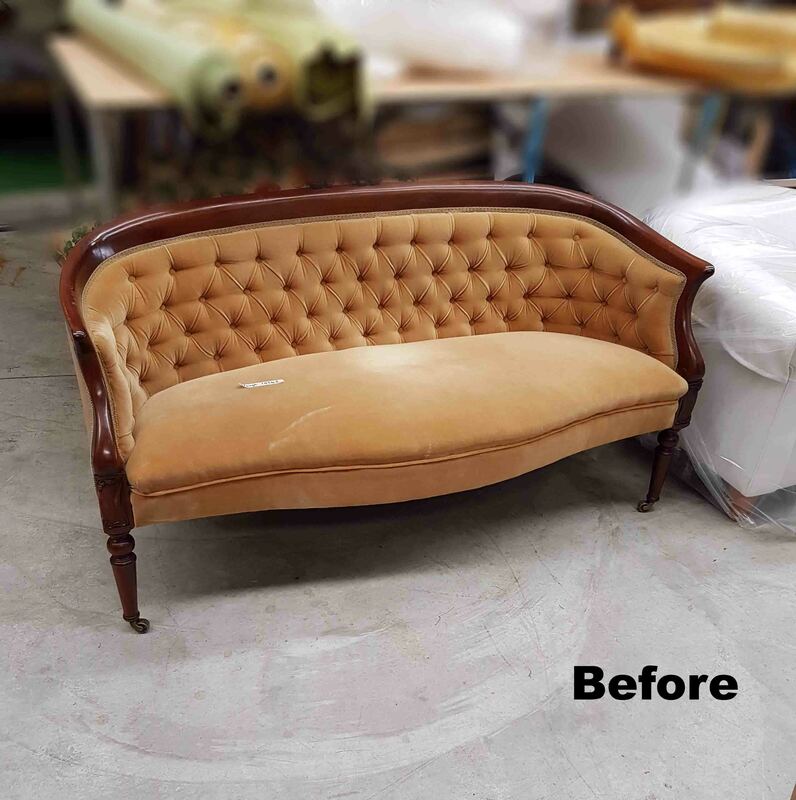 Because we still make our furniture the traditional way we know how to repair and restore your treasured heirlooms. 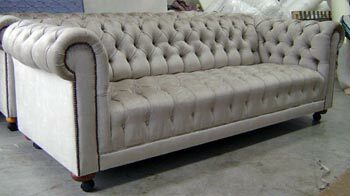 We can also reupholster couches or chairs from other manufacturers. 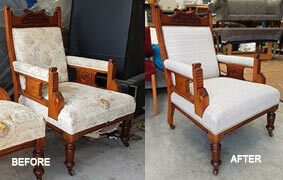 In addition to replacing the upholstery with the fabric or leather of your choice we can also make repairs to the frame and springs as well as refinishing the exposed woodwork. 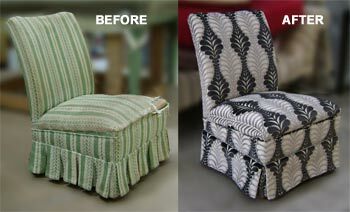 We have no trouble with traditional upholstery techniques such as float buttoning, deep buttoning, and piping. 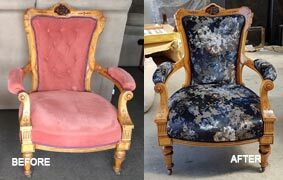 You can trust us to reupholster and restore your furniture using the same traditional techniques with which it was built.